Educated as an engineer, Brancaccio's leisure time pursuits included ballroom dancing, doubles tennis and following the New York Yankees. John Brancaccio, a devoted New York Yankees fan who has a heart center in Flower Hill named after him, died in his sleep on Aug. 18. He was 92. Brancaccio was born on Sept. 29, 1925, in Richmond Hill, Queens, to Humbert and Mary Brancaccio. John Brancaccio's childhood centered on sports, said his cousin Rosario LaBarbera, of Blairstown, New Jersey. One of Brancaccio's hobbies was playing pickup games of baseball with neighborhood kids. "John was a little guy," said LaBarbera. "He wanted to play baseball, but he was always picked last to play. But when they realized how fast he was, then everyone wanted to pick him." Brancaccio grew up in Queens and attended John Adams High School in Ozone Park. 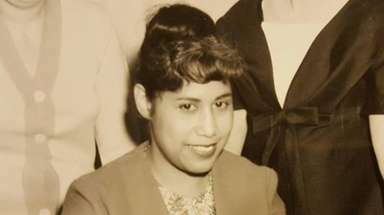 He was a sprinter on the school's track team before he graduated in January 1944. After high school, Brancaccio wanted to study engineering at Cornell University. He applied and initially didn't get in, his cousin said. 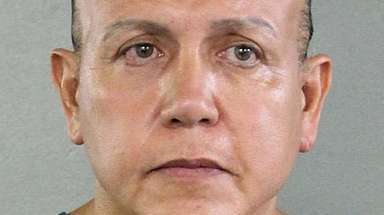 Then two days before the fall semester began, a university official called. "He said, 'If you can get your way up here in two days, you'll be admitted into the program,'" LaBarbera said. "So his dad packed up the car, and they made it up there." Brancaccio graduated with a mechanical engineering degree in 1952. Brancaccio eventually moved to Dix Hills into a home that his father built. Brancaccio never married or had children and spent much of his time with his sister Antoinette, who died in December 2014, and the two became ballroom dancers, said Brancaccio's longtime friend James Gover of Hauppauge. Gover met Brancaccio at the Eastern Athletic Club in Melville, where Brancaccio was a doubles tennis player. "He played the net very well and he had cat-quickness for someone his age," Gover said. "If a tennis scout or coach was out there watching this guy play tennis, he'd be stunned." Brancaccio began suffering heart problems in the late 1980s. He fainted on the tennis court and was diagnosed with aortic valve stenosis in 1991. Two doctors at St. Francis Hospital in Flower Hill replaced a valve in his heart in June 1991. Brancaccio thanked the hospital by donating "a sizable gift," said St. Francis Hospital's Dr. George Petrossian. 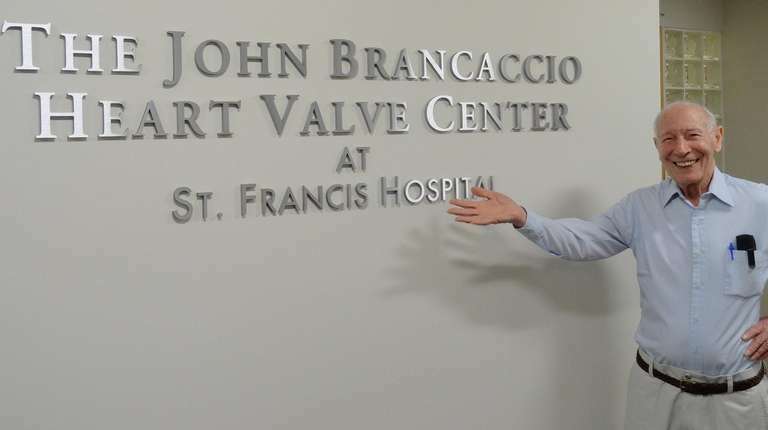 The hospital renamed a section of the building The John Brancaccio Heart Valve Center in December 2015. Petrossian said Brancaccio visited the hospital frequently after his surgery. Brancaccio was different from other patients because "he understood the engineering and physics behind his new valves" because of his educational background, Petrossian said. "We will miss his smile and his infectious energy," Petrossian said. In addition to LaBarbera, he is survived by cousins Joseph Pedone of Lodi, New Jersey, Ross Tantillo of Vero Beach, Florida, and Richard Tantillo and Frances Ann Giammarella, both of Garfield, New Jersey. 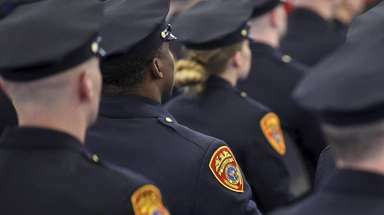 Brancaccio's funeral took place Tuesday at Claude R. Boyd Caratozzolo Funeral Home in Deer Park. He was buried at Pinelawn Memorial Park on Wellwood Avenue.